Priya Village Roadshow (PVR) Cinemas is one of the leading chains in India. The company began as a joint venture between Priya Exhibitors pvt ltd. and Village Roadshow ltd. in 1995. It was first launched in 1997 as PVR Anupam in saket, India’s first multiplex. After that, PVR has widened its reach in other parts of country. PVR is listed as the “Most Trusted Brand” in the category of Entertainment by the ‘Brand Trust Report’, 2013.Today PVR is the dominant leader with 30-35% of box office collections of Hollywood movies in India and 20-25% of Bollywood movies. PVR Cinema at Celebration Mall in Udaipur is gaining popularity day by day. This unit of PVR cinemas is one of the heritage cinemas in India. The company foresees to excel in the retail entertainment domain to maintain its position in the cinema exhibition business. PVR will continue to redefine viewing experience of cinema and aims at providing world-class cinema viewing. In coming times, PVR will strive to bring about a fully new allied retail entertaining concepts in India to provide a holistic entertainment experience to its viewers. 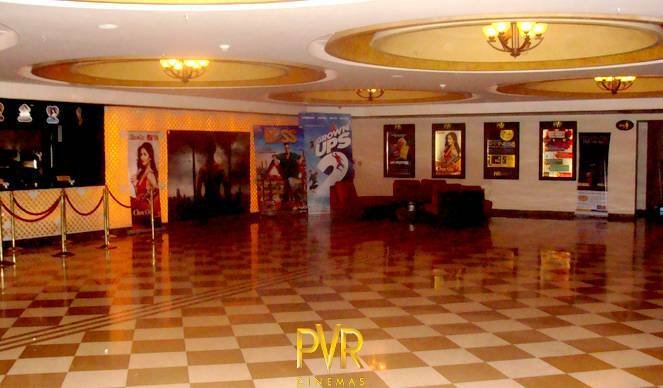 At PVR cinemas in Udaipur, you can enjoy an overall comfort watching a movie. The seating arrangement is made keeping in mind the comfort of the viewers. On the last and top most seats, you can almost rest and relax while watching a movie. The snacks services are made easily approachable for you at your seats. It appeals to senses while reading, what if you go by yourself and enjoy the movie. PVR cinemas is available at fourth and fifth floor of The Celebration Mall, Udaipur.